Sunday was Karl Heiser’s 35th birthday. Karl passed away a couple years ago, at the age of 32. Karl was one of my best friends growing up, and throughout high school. Everyone who knew Karl loved him. He was kind, thoughtful, and always had a big heart. Over time, I learned of mysterious and shocking events that occurred throughout his life. Karl and I became friends in 1st grade. We sat next to each other in elementary school, as our seats were assigned alphabetically by last name, and our names were alphabetically closest to each other. Here is a photo of Karl and me in DuFief Elementary School. Karl is pictured on the right with a PEPSI t-shirt. I am the kid just above him. I was the fat kid in elementary school, and Karl was the skinny kid, and we ended up getting along very well. As we grew up, Karl and I were involved in similar activities outside the classroom. We played on the same youth sport teams, and in high school we played junior varsity and varsity football at Wootton High School. Karl and I were also involved in the same youth groups like DeMolay. Karl and I and a couple other high school friends also had an entrepreneurial businesses we ran while in high school. Karl also started working out and bulking up. He became extremely athletic, and became a captain and starter of our high school football team and lacrosse team. Karl was so athletic that he even challenged and successfully beat our very powerful gym and football coach at a dip competition. Karl always had an infectious smile and was always very humble. Karl became very desirable to all the girls in high school, and everyone loved him. But, at the same time, Karl was very reserved, and wasn’t as overtly social. He tended to shy away from social gatherings and interactions. Even though everyone loved Karl, not many people really knew much about him. He would prefer to keep to himself. Since many girls knew that I was one of Karl’s closest friends, and they would always ask me for personal, first-hand information about him, as Karl did not seemed interested to talk to them. As a fat kid in school, girls didn’t really approach me directly, and these interactions were some of the most attention I had ever received from the prettiest and most popular girls in high school. The girls were not only from our grade, but also from grades above us and grades below us. It seemed like all the girls from our high school wanted to know more about Karl. When I spoke to Karl about all the girls that liked him, he never seemed interested in pursing. I frequently had to tell the girls who were interested in him that I didn’t have any information to share. When we graduated from high school, I started to lose touch with Karl. But from what I heard from mutual friends, he seemed to become more social, and started to go out more. He loved going to concerts. Then, a few years after graduating from college, I learned that Karl was secretly in the closet. I learned it from a close mutual friend. The mystery of why Karl wasn’t as interested in girls in high school then started to make more sense. I also never remember him having a girlfriend or even talking about girls. We grew up in a progressive neighborhood in the suburbs of Washington, D.C. and knew others who had come out. It wouldn’t have affected our relationship in anyway, but, keeping that a secret was ultimately his decision to make. After college, Karl worked at several different jobs, including one as an accountant in Maryland. Over the next several years, I tried to meet-up with and get a hold of Karl, as we were best friends growing up as kids and in high school. Sometimes Karl would return my calls, and sometimes he wouldn’t. He also lived in different places over different periods of time and made lots of friends from other circles. At this point I realized that maybe Karl had a life that included me, and another that included other people. Then, a few years later, Karl attempts suicide. Karl makes his suicide note public on Facebook. In his note, he claims he was sexually molested as a child. His said that he had been struggling his whole life with “inner demons,” and that suicide was the only way he could get rid of those feelings. I read the Facebook post many hours later. When I read it I was in shock, as it was a rather long and terrifying note to read. The mysteries about Karl suddenly increased and intensified. How does something like this happen to one of your closest friends? Why was Karl hurting silently for so long? Luckily, another Facebook friend of Karl’s read the post shortly after he posted it and immediately called the police. The medics were able to transport him to the hospital and luckily saved his life. As Karl’s friend for so many years, the idea that someone could hurt him still bothers me today. He was such a kind, generous and positive person. He would never tell you about any issues or problems going on, as if he didn’t want his problems to affect anyone else. It troubled me that he had been hurt by someone and in order to alleviate the pain he then had to hurt himself. I realized that it was not only Karl, but others in his life, were also keeping these secrets. I’ve heard about others in this situation, but never knew anyone personally. I couldn’t believe someone I knew was a victim of it. Not knowing much about it, I started researching online. According to the non-profit organization 1in6.org, at least 1 in 6 men have been molested, and according to RAINN, every 98 seconds, another person experiences sexual assault. That means that everyone reading this post is someone or knows someone who was. It’s also the reason why I chose to write this post. Unfortunately this issue affects everyone, and if you don’t know of anyone then someone you may know may be suffering in silence. Karl’s Facebook post was deleted a few days later, and I unfortunately don’t have a record of it. But, here’s the next post Karl made, thanking everyone for their support. I spoke with Karl about a week afterwards. We talked about many things, about life, about when we were kids; it was a really nice conversation and connection. It didn’t seem like he had just tried to commit suicide, he seemed positive and in a better place. I told him that I look forward to seeing him, and that I’d like to treat him to a NYC trip, all expenses paid. Unfortunately, that trip never happened. I didn’t know it at the time, but this was going to be the last conversation I was ever going to have with him. When Karl was released from the hospital, everyone was rooting for him. Karl eventually pursues a career as a technician for cell phone towers. This seemed to be Karl’s calling, and it was a new focus where he could travel and perform a challenging and exciting new career. Karl was very happy and everything in life was going for him. It seemed as if he was getting a new lease on life. He had been through many struggles and challenges, but all that seemed to be a sign of the past. Karl comes out on Facebook. I remember seeing this post and saying to myself, go Karl! This post was dated February 20, 2015. Karl had overcome so many challenges in such a short period of time, and now it seemed like he overcame his latest challenge. Everything seemed to completely turnaround. Personally and professionally, everything was going for him. That next day, February 21, 2015, Karl passes away. While hundreds of friends were still liking and posting on Karl’s celebratory Facebook post announcing his relationship, he may have already been gone. He died of an overdose, and there were mysteries as far as the hours leading to his death, including who was with him and what might they have done to potentially save him. Karl’s partner, Anthony Roland Sica, passed away a year later. I went from a day of euphoria to demoralization the next. I felt absolutely terrible, it was one of the worst days of my life. I said to myself, what was I missing? Could I have been a better friend? Could I have helped him? I then started thinking back to all the experiences we had and if there were any signs I was missing. I then started searching anything that I could find about his life on Facebook. I start scrolling down his Facebook news feed. I went as far back as I could go, analyzing each post. I was looking for anything that I may have missed. As I was scrolling through, I found this. When I saw this post, I immediately stopped scrolling, and I smiled. Karl and I shared a love for Powerball. To me this was a sign from him. A post telling me that everything will be okay and that he is in a better place. I also discovered at that moment that there is nothing more that I could actually do to save him. All that I could do was to move forward, not scrolling backward. I printed Karl’s Facebook post and keep in my wallet. I play these numbers every week. These numbers serve as a constant memory of my beloved friend. His numbers give me luck, even though he was unlucky to be the victim of things that I cannot imagine going through in life. Playing Karl’s Powerball numbers give me hope and a constant connection with him, and that his friendship and memory is alive and well. The issues that affected Karl also affect many people in our society. Drug overdose is the leading cause of accidental death in the U.S., according to the National Institute of Drug Abuse, and molestation occurs in 1 of 6 male adults. It is difficult for me to write a story about the death of a close friend that I loved and admired and have known for so many years, but I think it’s very important that Karl’s story be told. It’s also hard to talk about things like sexual molestation, drug abuse, and suicide, but the more we talk about them and the more avenues there are for people who seek help. Karl’s story should serve as an inspiration for anyone that might be suffering in silence. When Karl passed away in 2015, friends and family gathered at the funeral to pay respects. We then proceeded to celebrate and remember Karl’s life at one of his favorite restaurants, Quincy’s Bar & Grill in Gaithersburg, MD. On Sunday, October 29, 2017, on Karl’s 35th birthday, his remains were finally laid to rest at Parklawn Memorial Gardens, Tranquility Oaks section, in Rockville, Maryland. We then proceeded to celebrate Quincy’s again to celebrate Karl’s birthday. 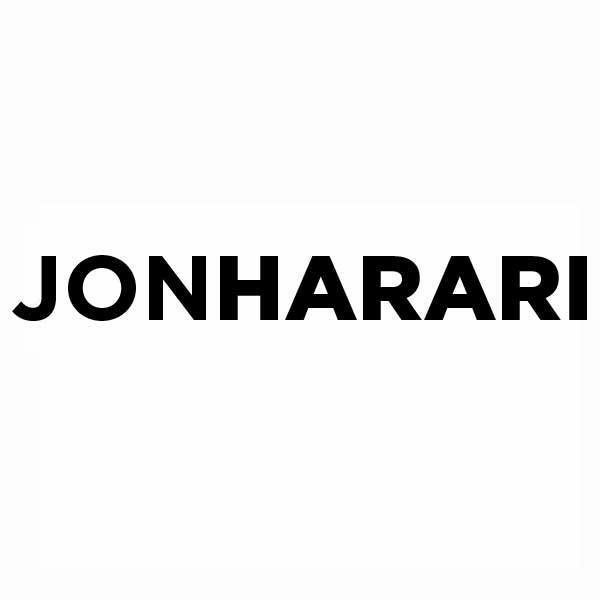 Posted on October 30, 2017 by jonharari. Bookmark the permalink.